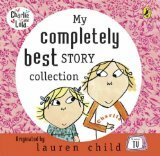 The ever-popular Charlie and Lola in a brilliant audio version on CD. Perfect for taking out in the car, to use at bedtime or even when they are unwell, snuggled up on the settee and you're too tired to read to them. We HONESTLY can look after your Dog; My Wobbly Tooth must not ever, NEVER fall out; I've Won, no i've won, No I've won; Whoops! But it wasn't Me; and Snow is my Favourite and my Best.